Map with the windiest kitesurfing destinations month by month. If you are planing your holidays and searching for the best kitesurfing destination than this map will tell you where and when the best winds awaits you. It was already a while ago when guys from Bstoked created this amazing and so simple tool. 1 – countries with 80-100% wind exposure – don’t think much, if you want to kite almost every day than this is a no-brainer! From my experience I can surely say – they did a great work! 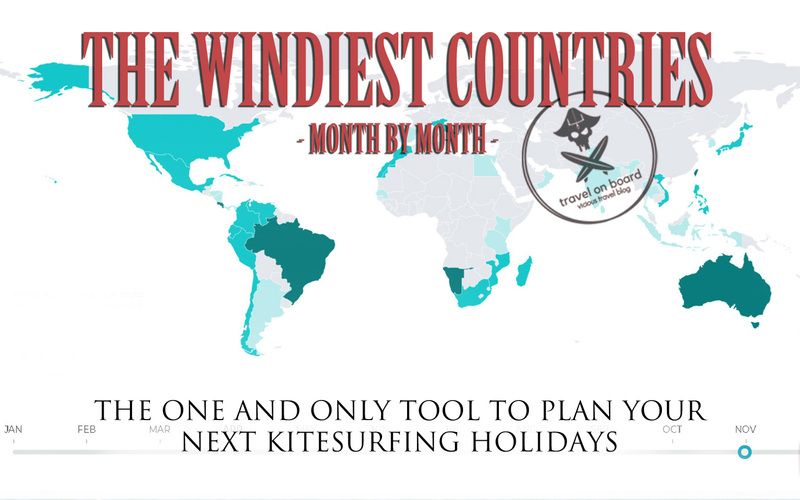 So click the map with the windiest kitesurfing destinations month by month and plan your next trip wisely. check our kite trips offer - only windy destinations!